Particularly in the last 2 years, being a landlord had been a very attractive option for many people. A stable source of always in demand income, 2015 saw a huge amount of people cashing in their pensions and buying up properties to rent out. But how do you make the most out of your investment, and earn the income you want without spending a small fortune? This month we have 6 top tips to help you make the most out of your rental property with some small (and some not so small) changes. These days, tenants tend to stay in a property for around 2 years on average. So they aren’t looking for a stop gap or temporary accommodations any more, where worn paintwork wouldn’t be an issue. They are looking for a home they can call their own. This mean that as a landlord, if you want to keep your tenants and demand higher rent, you need to make sure your property is well maintained, easy to heat, have no damp or condensation problems and have been given a good lick of paint at regular intervals to update and refresh the rooms. Kitchens and bathrooms are the areas that people pay the most attention to in any property, as these are areas that look tired very, very quickly. An old, outdated bathroom or kitchen isn’t such a problem in a home you are buying (because you can replace it with something you like) but in a rental property they can be a real deal breaker. To add value to your property quickly and encourage tenants to stay longer, provide them with an up to date, modern kitchen and bathroom suite. This will reduce re-letting costs and potential voids in between tenants for you, and create happier tenants. Even small things like replacing the doors on your kitchen cabinets can make a big difference to the feel of a kitchen. For a lot of landlords, any tenant will do. But if you’re really looking to maximise your rental income, your best bet is to get a bit more specialised. Do some market research into the geographical area and figure out what types of people live around your property. Are you in a student dense area? Then you may want to create as many bedrooms as possible within the house. Is your property in a commuter belt area, with lots of professionals working in London every day? Then you will be targeting a completely different type of tenant. With this in mind, you can tailor your property to match the needs of people in the area, increasing desirability and maximising profit. If you’re looking to attract wealthier tenants, those with larger families or house shares, adding en suites can be a real bonus for everyone involved. The extra privacy for residents can make a huge difference to quality of life, and it is that type of investment that leads to happier tenants and higher rental rates. If you have the ability to add even one en suite to your property, you could easily increase your rental income by £100 a month. This sort of addition is also likely to encourage residents to stay with you longer, reducing tenant turnover. If you’re looking to rent out rooms individually instead of the whole house (a very popular option for student heavy areas), you might want to look at extending your property. An extension allows you to add extra rooms to the house that can be rented out for higher income. It could also give you an edge in the whole house rental market – for example if your area is oversaturated with 2 bed houses like yours and tenants are desperate for 3 beds, you could extend to create that extra room. Extensions also adds value to the property as a whole, ensuring higher profit if you choose to sell it in the future. But please make sure you check what approvals you need from the council before going ahead. A lot of landlords assume that tenants are renting because they are an on budget, but in some area renting can actually be cheaper than buying. As a landlord, you can easily have access to a premium tenant market – a group that are looking for luxury and homeliness in a long-term rent. If you want to target this market, one of the easiest things to do is provide a higher than average spec property, with some added extras to boost the value. 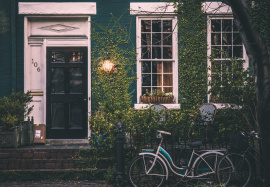 Whether that’s a state of the art security system, brand new built in appliances or city chic décor, these little details are what makes your property more desirable. 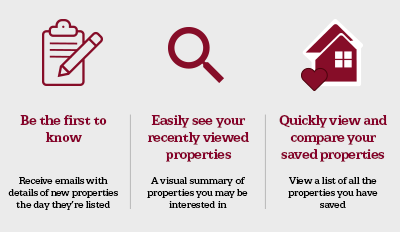 At Northwood, we specialise in helping landlords find the best tenant for their properties at the prices they want. Our industry experts are at your disposal to help you work out how to add value to your property with small and big changes. For more information, get in touch with our team today.